A huge portion of our work involves supporting young people who are thinking of or already have run away from home. Eloise works in our Children and Young People's Services team, and tells us more about what she gets up to on a daily basis. 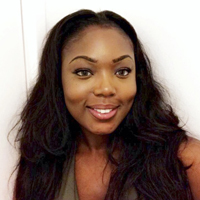 My name is Eloise and I'm the Children and Young People’s Coordinator. We have a core service dedicated completely to Children and Young people called Runaway Helpline that features a 1-2-1 chat system. 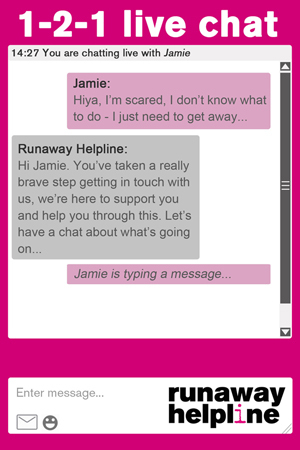 Runaway Helpline is dedicated to supporting and advising children on the different journeys they may be on - that could be children who have already run away, are thinking of running away or have come back from running away. We also support children and young people who are worried about someone else running away or being treated badly or abused. My role typically involves risk assessing and safeguarding all 1-2-1 chats and emails coming through to us from children and young people. I also coordinate our 1-2-1 chat service, which involves ensuring the rota is fully covered and providing support to our 1-2-1 chat staff through regular feedback, chat annotations, monthly newsletters and operations meetings. I am also in the process of introducing quarterly 1-2-1 chat case meetings for the team. Moreover, my role includes supporting our Children and Young People’s Manager with reports, statistics, case reviews and case studies from our 1-2-1 chats. Additionally, I am coordinating a new and exciting education project, which aims to educate children and young people on the risks of running away through 'Share your Story'. We will encourage young people who have run away and returned to share their story, which will hopefully prevent other people from running away. My day to day work on this campaign involves conducting consultations with and building relationships with children and young people, practitioners, schools and other organisations. I have only been working at Missing People for four months and I already love being a part of the team. I feel as though I have the opportunity to really make a positive difference, not only within the Children and Young People’s service and wider team, but also to the lives of children and young people nationally. And finally, one thing I love about being a part of Missing People is seeing my colleagues naturally displaying and encouraging the growth of our values on a daily basis; Be Human, Be Grounded, Make It Happen, Be Future Minded and Let Fly. Learn more about our Children and Young People's Services or, if you're interested in working at Missing People, take a look at our current vacancies.